Hello! How is everyone today? I’m sorry that I’ve been out of the blogging world. 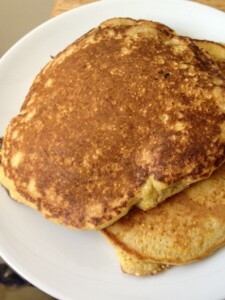 I have some great recipes to share with you but… I haven’t felt like writing lately. I’m taking four writing intensive courses this semester so… all my articulate energy is currently focused on school…but only six weeks until graduation! 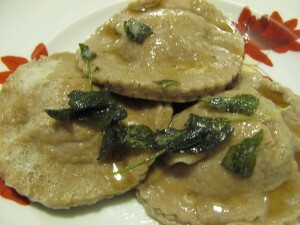 when Juan was visiting in February, we made chestnut goat cheese ravioli. They were amazing! We used this recipe for the ravioli dough but substituted half the flour with chestnut flour. Then we filled it with goat cheese, a little salt and pepper, and chives. I made a brown butter sage sauce to pour on top. Delicious! Voting is open for round two of Project Food Blog!!! Please vote for me by going here… or clicking on the banner to your right…Â Thank you so much for your support!!! 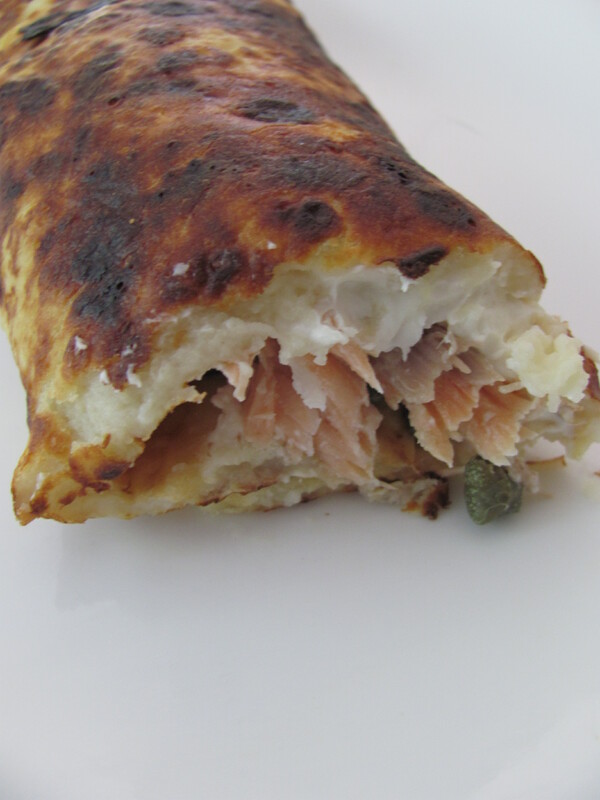 With the leftovers from the Iranian salmon, I made these delicious crepes smeared with some cream cheese and sprinkled with capers… Enjoy!